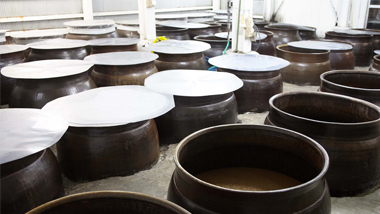 Did you know that Kokuto Shochu (brown sugar distilled liquor) can only be manufactured in the Amami Archipelago? I believe that there is a surprising amount of people who have never even heard of Kokuto Shochu. 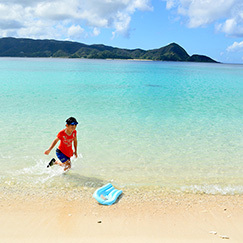 The 8 islands of Amami Oshima: Kakeromajima, Yorojima, Ukejima, Kikaijima, Tokunoshima, Okinoerabujima, and Yoronjima make up the Amami Archipelago, however only 5 of those (Amami Oshima, Kikaijima, Tokunoshima, Okinoerabujima, Yoronjima) produce all the Kokuto Shochu in Japan. Even amongst Kokuto Shochu, the taste varies greatly between distilleries, and even between ingredients used by the same distillery. The simplest difference is between these distillation methods: the traditional ‘atmospheric distillation,’ which has been used since long ago, and ‘vacuum distillation,’ which was developed about 40 years ago. 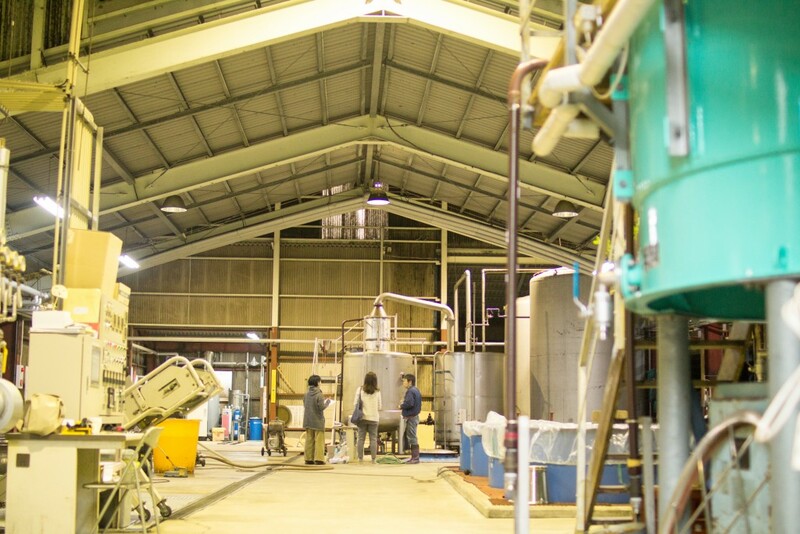 We visited the Yayoi Shochu Distillery, which has been producing Kokuto Shochu called ‘Yayoi’ or ‘Mankoi’ using the atmospheric distillation method since they were established. 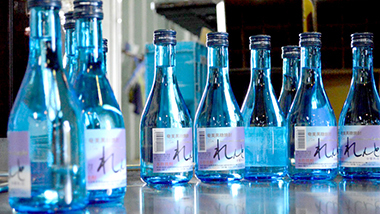 The Yayoi Shochu Distillery was ‘born’ in the 3rd month of the lunar calendar (called Yayoi) in the 11th year of the Taisho Era, and they have preserved traditional manufacturing methods even as they become one with the flow of time and continue production. It is clear at first-taste if you actually drink and compare them, but as far as explaining it here goes, atmospheric distillation creates a strong shochu with an edge. ‘Atmospheric distillation’ is a method of distilling at 1 atm (atmospheric pressure), which is about the same at which people live. 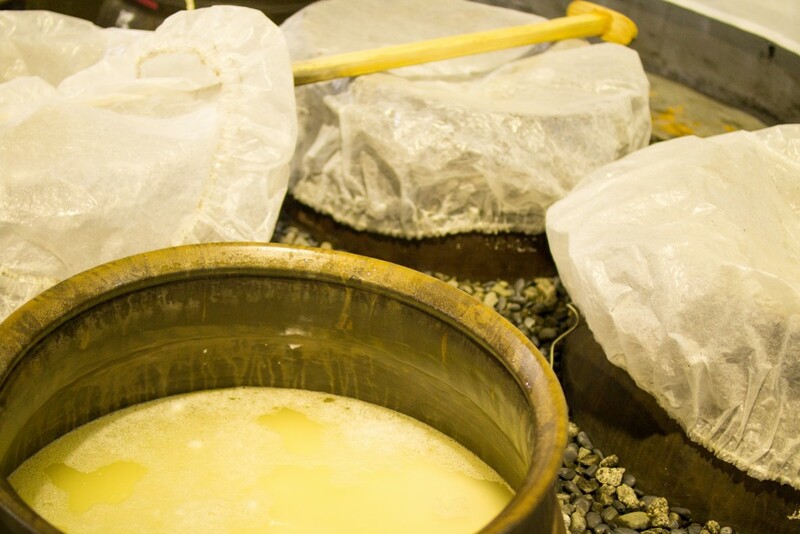 The alcohol of the fermented Shochu mash (called ‘moromi’) begins to evaporate at about 70 degrees Celsius, and the components of the alcohol that had turned into gas are cooled, then turned into liquid. 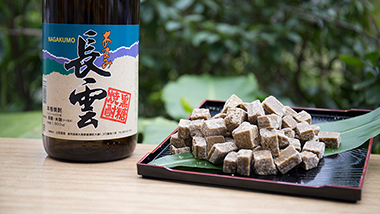 The temperature of the fermented Shochu mash goes up to 100 degrees Celsius, so the components of the other ingredients used, such as the brown sugar taste and the rice oils, are evaporated together with it into the liquor, and thus a Shochu rich in flavor is produced. 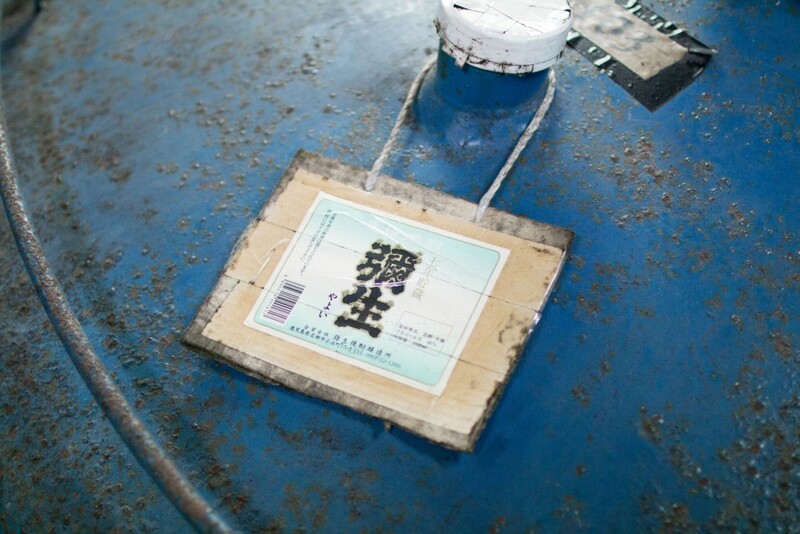 The ‘Liquor Quality’ of Kokuto Shochu has existed since long ago at Yayoi Distillery. I also felt the enthusiasm of the Yayoi Distillery to meet the expectations of their long-time fans. 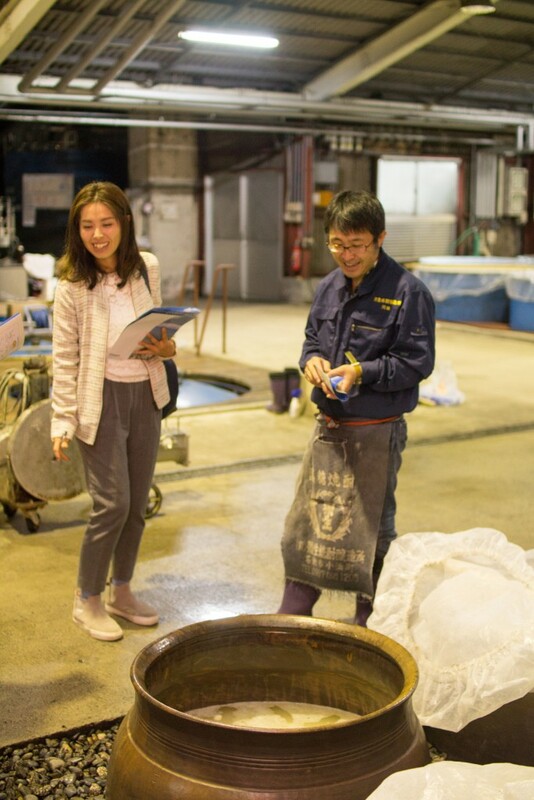 Once the distilling season for Kokuto Shochu begins (Feb.-April, Oct.-Dec.), it must be managed in 1-minute increments, so during distillation they cannot leave the area. It appears to be difficult to attend the entrance and graduation ceremonies for their children that also happen during this time. 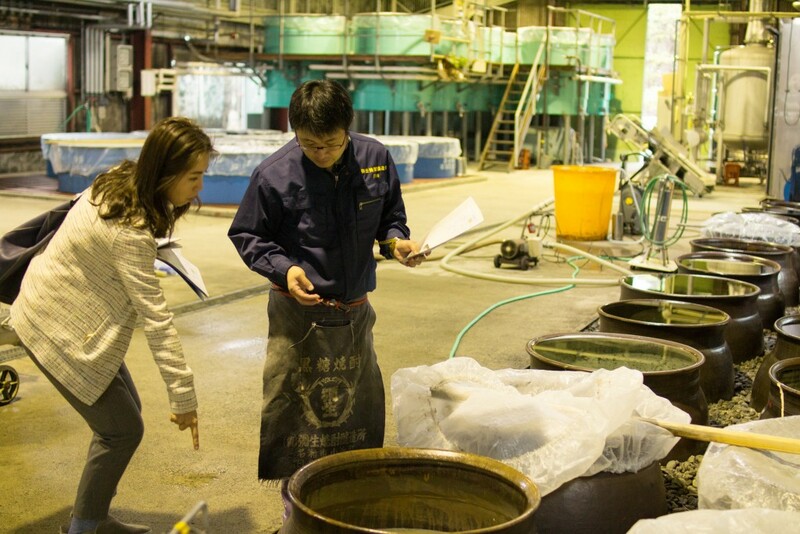 Mr. Hiroyuki Kawasaki, the 4th successor of the Yayoi Shochu Distillery, checks the clock as he explains the manufacturing process. “In this we are fermenting the rice. Here we use Jasmine rice. The ‘Young Heir’ Mr. Kawasaki lightheartedly talked to us who were meeting him for the first time. Our nerves were calmed before we knew it as he spoke to us with an air like we were learning about Kokuto Shochu from a relative who is like an older brother. We actually heard a rumor that the “4th successor of Yayoi is an interesting fellow,” so we came to cover the story. The 4th successor of Yayoi Shochu Distillery, Mr. Hiroyuki Kawasaki (the ‘Young Heir’) moved to Tokyo after he graduated from high school on Amami Oshima. Upon graduating from university, he went on to research medical instruments. 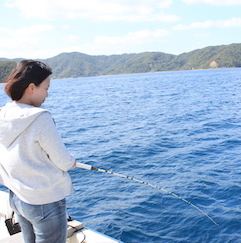 Then, after occupations in marketing and sales at a pharmaceutical company, he made a U-turn back to Amami at age 35. 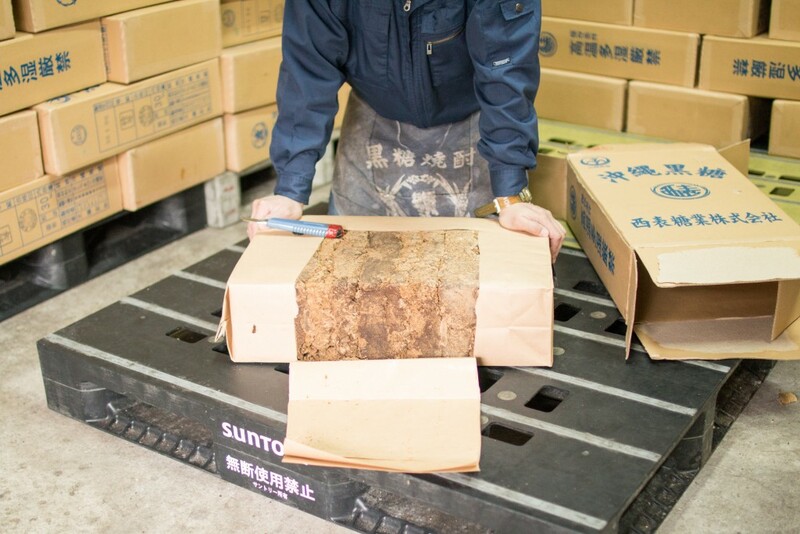 Presently, as the chief brewer and 4th successor, he is active in the production, sales and PR of Kokuto Shochu. 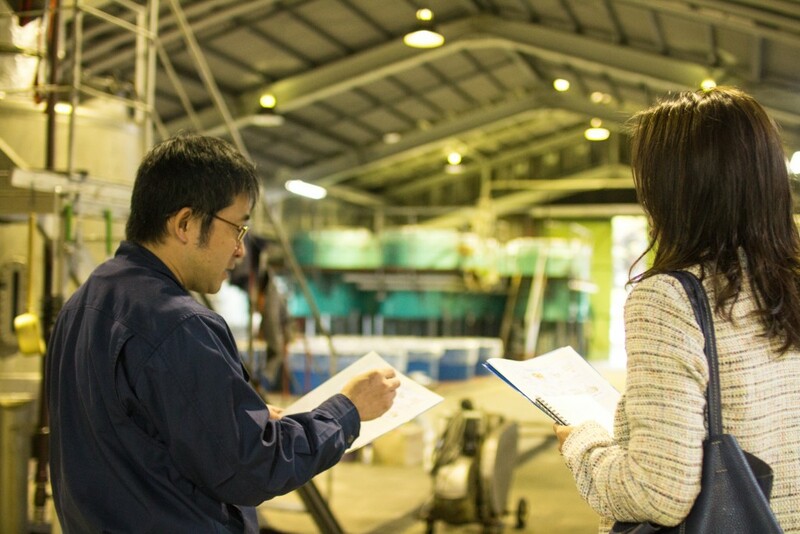 When I asked him “Do you use your experience in Tokyo in your work here at all?” the ‘Young Heir’ replied “While I may not be using it directly, I experienced the back-and-forth of a trial-and-error system while researching medical instruments, and I learned very much about that. He says that they are currently working on new shochu products, different from those that exist already. Since I grew up in this environment where, regardless if you were a new employee or the company president, we could freely say our opinion that may have exceeded our position, I still have times when I say whatever I think is right to anyone. I personally prefer for people to tell me “it is better to do it this way” without hesitation, because if it makes me change myself for the better, then it is something to be thankful for. “Oh, but there are people with different ways of thinking, so those who are irritated if someone tells them how work may not like my straightforward way of speaking!” he said with a smile. From this man (with a seemingly calm demeanor at first glance) came these passionate and energetic words with a backbone. I truly felt what is interesting about the methodicalness born from his sincere creativity. The “chief brewer” who gives spirit to producing shochu. His image is one of a true artisan, but he is putting his spirit into sales and advertisement in addition to production as well. He updates the blog he began writing in 2009 just about every day. This blog precisely exhibits the Young Heir’s world! “Yes. 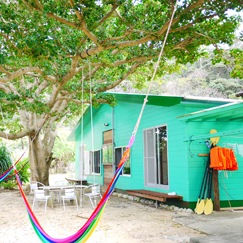 If we go to product exhibitions across the nation, then people who follow the blog or social media accounts also visit, and from that relation there are people who come to Amami Oshima as well. Also, I highly recommend that those who like Kokuto Shochu and Amami Oshima take a tour of Yayoi Shochu Distillery! You can directly listen to the ‘Young Heir’ speak. If the timing is right, you may find him at a restaurant with delicious food and ‘Yayoi’ or ‘Mankoi’ shochu.